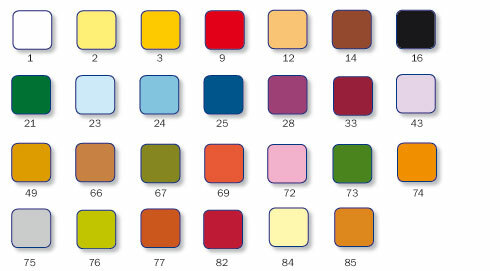 Click to see the full range of colours. 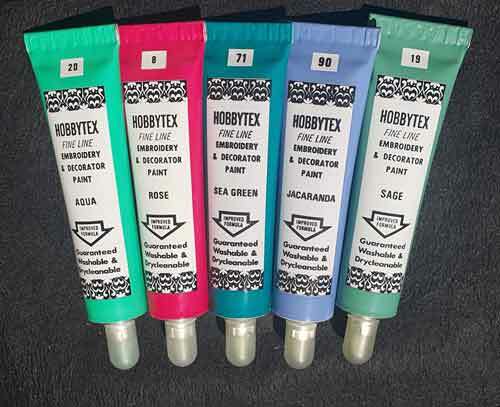 Fast drying, permanent, multipurpose craft and fabric paint in the unique ball-point tube. Colours illustrated are as accurate as printing reproduction will permit. All regular ball-point paints are made in Australia. Do these paints come with a tip cover? Thanks. Just wondering how long does the paint last as l have a blue case from years ago full of the paints as l used to sell it in Geelong. How does the paint turn out on denim textiles? Will it survive a pass through the washing machine? If lasting, will the paint have a hard textured finish when applied to fabrics? Thank you!